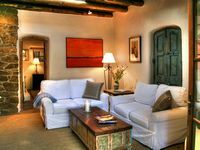 Property 4: David Copher Gallery And Casita By The Plaza, and great skiing! 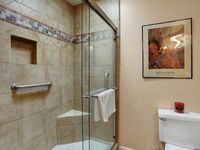 Property 7: Historic Downtown Private, Hot tub; perfect ski retreat! Property 11: Historic Santa Fe casita close to all sites. Property 16: East side light-filled adobe w/ private courtyard. 5 star ratings for 5 years! Property 18: Private Casita 3 Houses From The Railyard District - Newly Renovated!